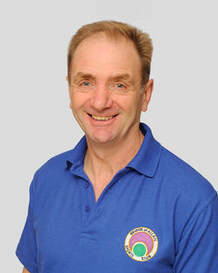 John is a well respected and experienced instructor. He is on hand to give you an initial induction for the use of the equipment. John can then be used for your own personal instruction by arrangement directly with him. A well-respected advanced remedial and sports Massage therapist and is based here at he Bridge of Allan Sports club. His focus is as much about injury prevention as it is rehabilitation and will customise a treatment plan specifically for your individual requirements. Contact Simon via 07950 027398. Bridge of Allan Sports Club is a wonderfully flexible venue, whether you are looking for a small meeting venue, a larger conference or corporate activity day. If you are interested in hiring our venue for your personal or corporate use, please get in touch with Steve Ingram.